ISLE OF MAN – Microgaming provides its own take on the wild west in Showdown Saloon, developed by Fortune Factory Studios exclusively for Microgaming. Players can step up to the bar for high-stakes wild west action in Showdown Saloon, which is available exclusively for Microgaming operators from Tuesday 4 December. Showdown Saloon is a fast-paced, thrilling and rewarding experience for all kinds of players. The soundtrack is orchestrated with high production and fits perfectly with the theme – you can't help but tap your feet and get into the wild west zone as respins set the scene for exciting rewards. Showdown Saloon is the second game under the Fortune Factory Studios brand, and there are plenty more exclusive titles coming from this talented collective. Players will experience high volatility gameplay within this title as they aim to hit that full reel blackout. 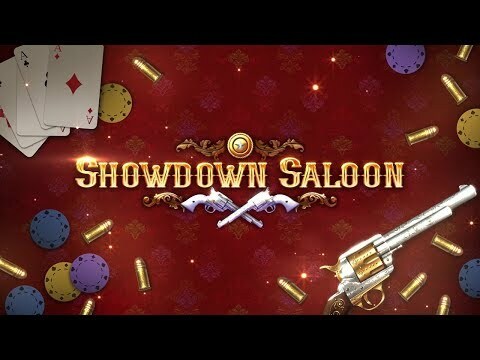 Enriched with exciting graphics and sounds, Showdown Saloon gives you the feeling of mingling with card sharks and gunslingers in a classic wild west saloon. Optimised for desktop and mobile, the game allows players to set their sights on high stakes wins. We are confident players will enjoy the game as much as we do and look forward to releasing more games for Microgaming in the future.